Lego Star Wars Clone Turbo Tank Lately our family has gotten into building lots of the sets from the "Lego Star Wars" series. We already have the Star Destroyer, Sail Barge, V-Wing Fighter, and others, and the next one on our list is the Turbo Tank. 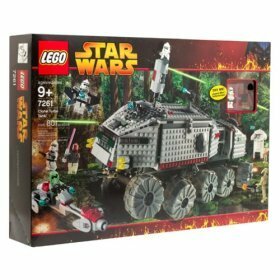 The Turbo Tank might be less expensive at Lego Shop, if it's available there (LegoShop is often backordered).